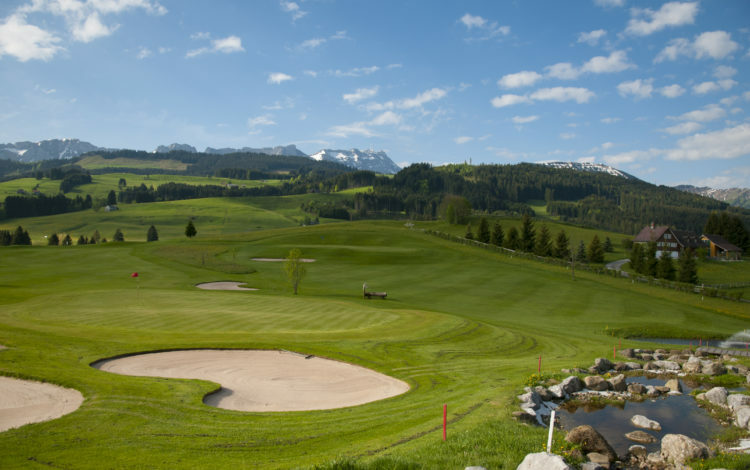 This beautiful 18-hole course has a spectacular mountain backdrop in the high valley of Gonten. 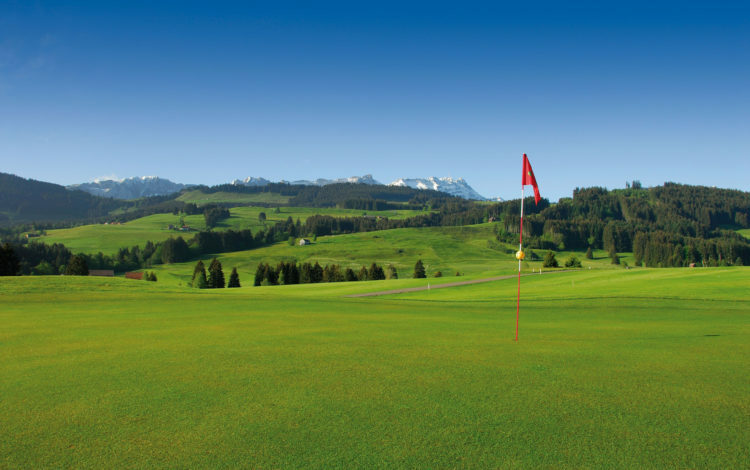 Views of the Alpstein and its highest peak, Säntis, makes a round of golf on this course very special indeed. 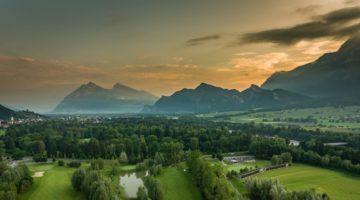 Looking into the distance reveals the scattered settlements typical of the unique charm of Appenzell. 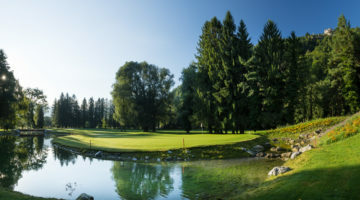 The terrain is hilly, and at just over 5,830 yards, the course rather short. 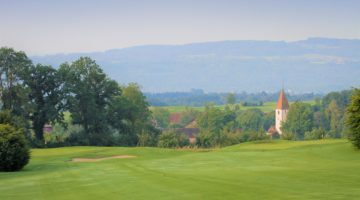 However, the partly undulating fairways and well-defended greens make for a challenge to any golfer. 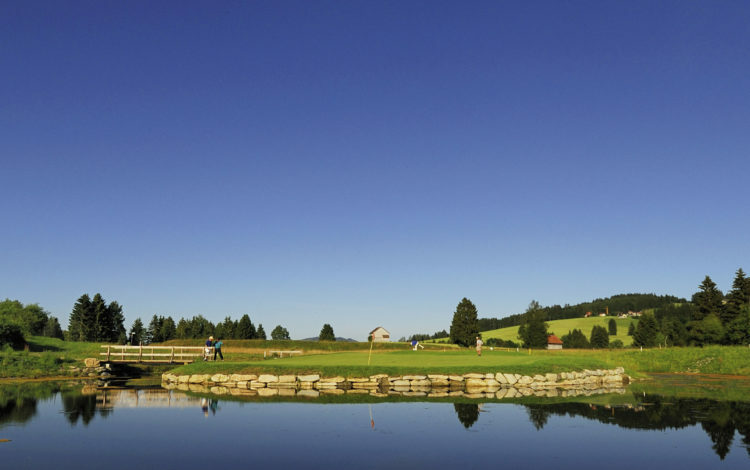 Particularly exhilarating and a special feature of Gonten are its island greens. 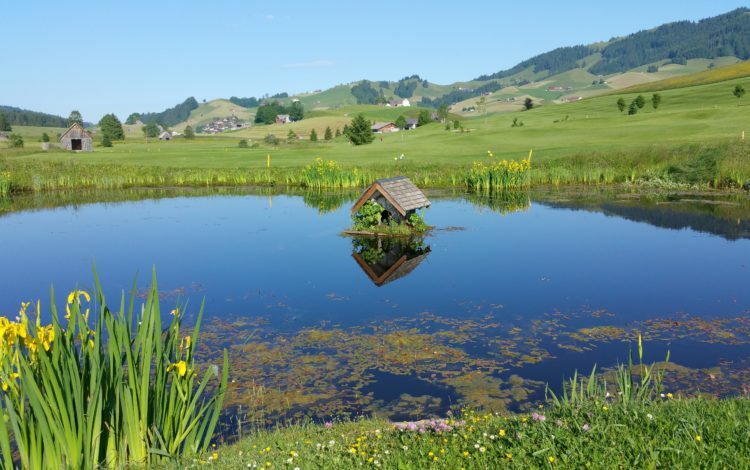 If what you’re looking for is a great golfing experience, you’ll find it here at the Appenzell Golf Club. 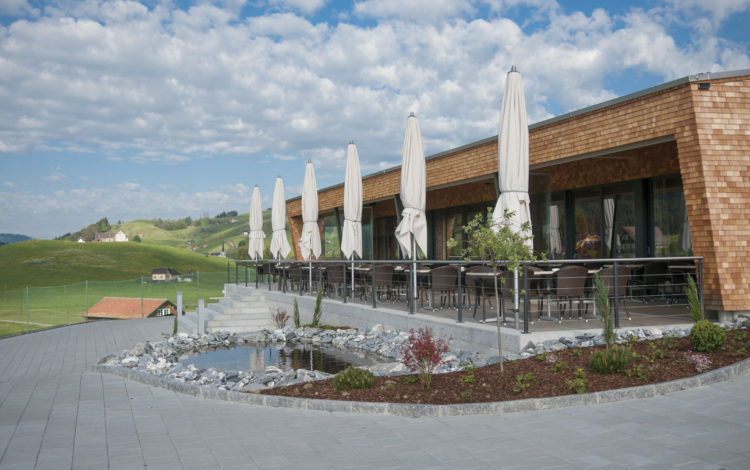 5-hole-practise-course, driving range, practise bunker, putting green.